Thyromine is a natural supplement designed to help treat and improve the symptoms of hypothyroidism. What is it, how does it work and what are its advantages and disadvantages? The thyroid gland is known as a neuroendocrine gland which has an average weight of 15 to 30 grams in most adults. The thyroid gland works by producing thyroid hormones which are responsible for regulating cellular activity and metabolism. When the thyroid gland does not produce enough thyroid hormones, the person experiences the medical condition called hypothyroidism. Hypothyroidism occurs when a person’s thyroid gland becomes underactive and begins to produce less than the required amount that the body needs. Women at the ages of 50 and above are usually the ones who develop this condition – but it can still occur to anyone. The good news is that it can be treated and one form of treatment is through the use of Thyromine. Manufactured by Pacific Naturals, Thyromine is an herbal supplement that contains all natural ingredients such as Bovine powder, Ginger extract, Piper Longum, Nori, and L-Tyrosine. When the thyroid gland is exposed to toxins and stress, its function may decline. Likewise, an unhealthy diet – especially one that lacks in iodine, can also hamper the function of the thyroid. 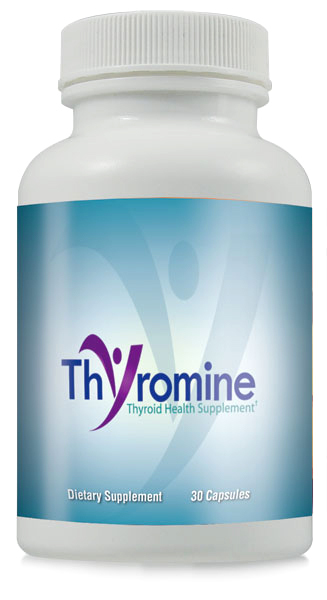 The premise of how Thyromine works is that it promotes thyroid health by providing the body with the right nutrients it needs, especially iodine from Nori and L-Tyrosine. Likewise, Bovine powder stimulates the thyroid and adrenal gland, improving its performance. The supplement comes in capsule form, with each bottle containing thirty capsules. The supplement should be taken at least once a day for around one to three months before it works its way into the system and starts producing results. The bovine powder consists of dried and powdered adrenal and thyroid glands of cows. Thyroid powder – such as those found in desiccated thyroid tablets – has been used in natural medicine to help replace the thyroid hormone in the body. Adrenal powder, on the other hand, replaces adrenal hormones, which are also quite low in people who suffer from hypothyroidism. L-Tyrosine is an essential amino acid which is a protein building block. Also known simply as Tyrosine, it is essential for most of the proteins present in the body and is important in the structure of thyroid hormones. L-Tyrosine is believed to help assist the thyroid in producing hormones, so increasing the levels of this amino acid in the body may help promote healthy thyroid function. Nori is a variety of seaweed. Seaweeds are high in mineral content, especially iodine – a substance that promotes healthy thyroid function. Iodine deficiency has been known to cause hypothyroidism, as the thyroid requires adequate amounts of dietary iodine in order to produce T3 and T4. Aside from its many health benefits, ginger contains magnesium which is known to be critical in controlling thyroid disease. Apart from that, the components in ginger can help alleviate the symptoms of hypothyroidism which include soothing of muscles and joint pains and promoting a healthy cholesterol level. Piper Longum increases the metabolic heat energy in the body, which stimulates the thyroid gland. Low metabolism is also a common symptom of hypothyroidism, which can lead to weight issues and obesity among patients. Increasing the metabolism in the body with the help of Piper Longum helps address these issues. 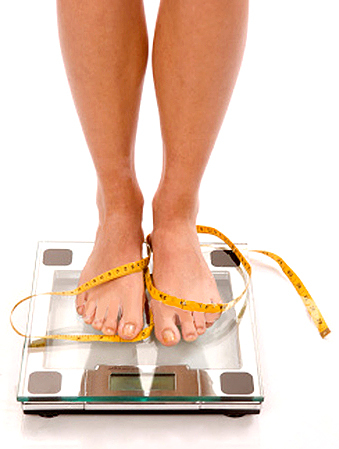 Thyromine can promote weight loss among hypothyroidism patients. Unlike prescription medications for thyroid disorder, Thyromine does not supplement or replace the thyroid hormones in the body. Instead, it simply promotes thyroid function and stimulates the thyroid to produce more thyroid hormones in the body. Likewise, it may take some time before the supplement produces the desired results. Because the product is supplemental in nature, it should not replace prescription medication and should be taken upon the consent and under the supervision of your doctor.